When it comes to Ghibli, I am always amazed, first and foremost, by their storytelling, for Miyazaki and company avoid the conventions and pitfalls that so often destroy lesser films. 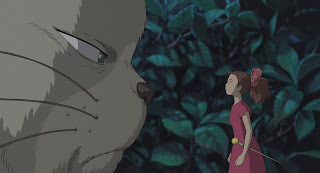 I can imagine a horrifying American version of “Arrietty” where the title character’s parents try to quash her free-spirited nature, the humans are portrayed as evil, and Arrietty is berated by her kind for falling in love with one of them. Yonebayashi’s “Arrietty” does none of this. 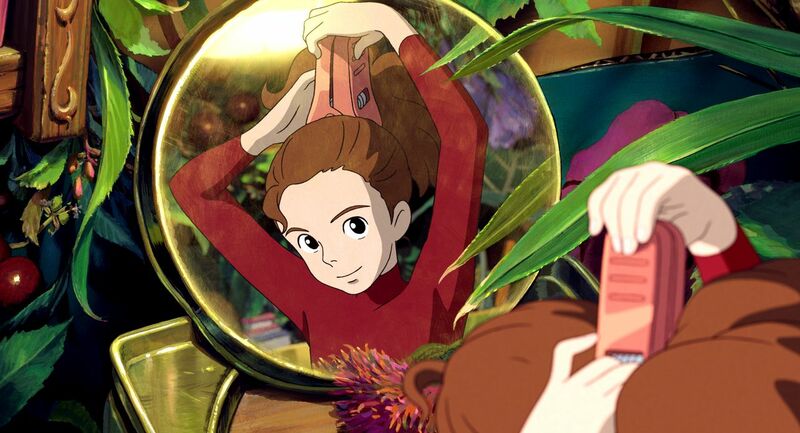 Arrietty is a marvelous, strong-willed protagonist, and no more needs to be made of it than that. She has a pleasant, loving relationship with her parents, Pod and Homily, and there is no obnoxious family drama to speak of. She befriends a human, yes, and while this turns into love, it is not romance. Their love is far less obvious and far more meaningful. There is a human antagonist bent on capturing the Borrowers, which is the closest the story strays towards convention, but even this works in the film’s favor, for it adds a necessary weight to the emotional finale. 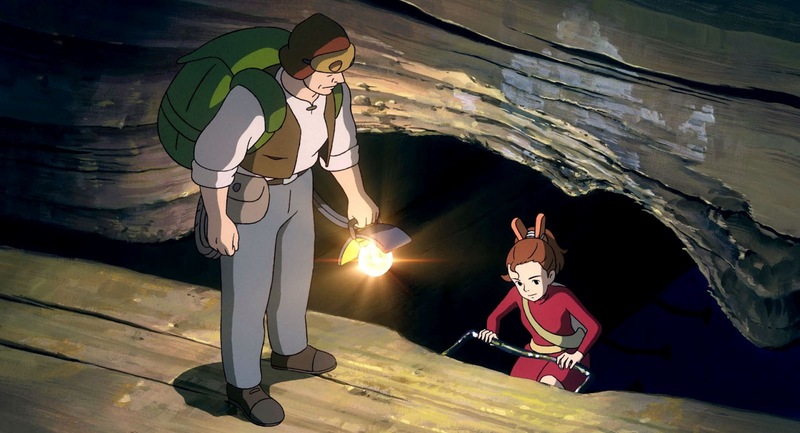 Most importantly, I love that Miyazaki and Yonebayashi are willing to forego a plot-driven structure in order to simply spend time with these characters, to watch the Borrowers operate in their wondrous little world and let the relationships develop organically. This is where the film’s true beauty lies. Arrietty, a Borrower, and Sean, a human boy living in the house her family borrows from, are drawn together by the sadness in their lives. 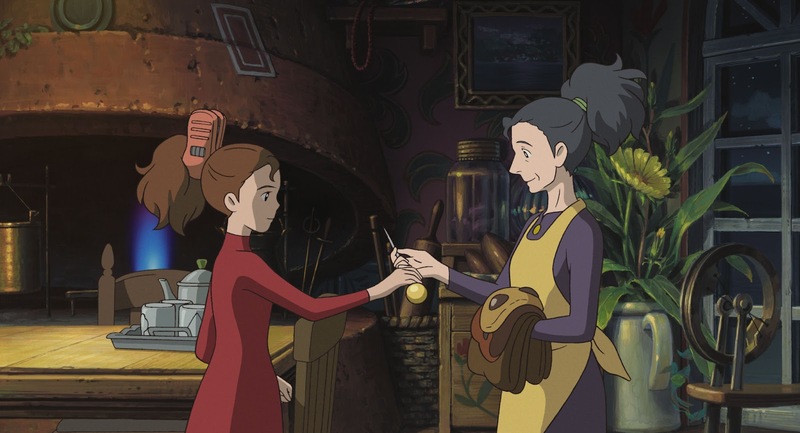 Arrietty loves her parents, but they are the only other Borrowers she has ever known, and that loneliness has become hard to ignore. Sean, meanwhile, has a fatal heart condition, and has come the countryside for rest and relaxation while waiting for a surgery that has little chance of saving him. 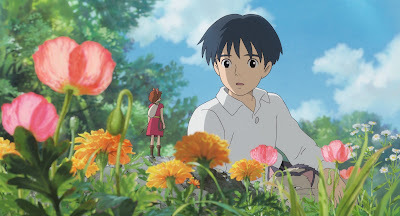 Sean’s greatest desire is to be needed, to find someone to whom he isn’t a burden, and Arrietty simply wants a friend. Together, they fulfill the empty places in the other’s soul. Their relationship develops in the subtlest, most beautifully restrained of ways, each scene they share producing smiles and tears in equal measure. Their final exchange, in particular, goes for an emotional wallop unsurpassed even by the greatest of Ghibli movies. The animation is just as breathtaking as the characters, and while I could waste your and my time searching for the proper adjectives to describe it, such efforts would be futile. Watching “Arrietty” is akin to visiting a lovely art museum; the colors, the attention to detail, the simplistic yet fluid character work…all of it is gorgeous to a degree unseen in American animation, and the crazy thing is, this isn’t even First-Tier work for Studio Ghibli. Some of the Miyazaki-helmed movies, like “Spirited Away” or “Ponyo,” are even more lavish than this. 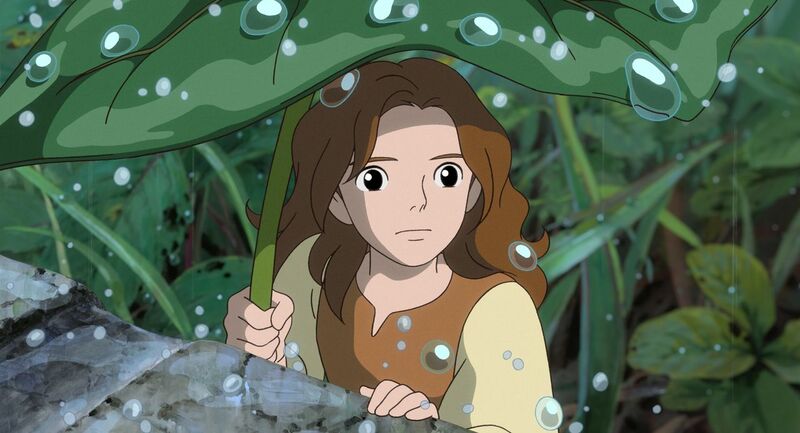 Yet you’d be hard-pressed to find a better musical score than Cecile Corbel’s, even in the world of Ghibli. Her compositions never pander or manipulate, but find a poignant aural connection to the emotions of each scene, enhancing every moment of the experience. Of all the wonders there are to behold in “The Secret World of Arrietty,” I was most surprised by the English voice-work. It’s no secret that I’ve disliked Disney’s English dubs of prior Ghibli films, mainly for their insistence on miscasting random celebrities in major roles, but “Arrietty” is dubbed with authenticity and passion. The actors leave their egos behind and simply inhabit these characters. Amy Poehler and Will Arnett voice the parents, Homily and Pod, but you won’t recognize them; they disappear into the parts, particularly Arnett, who has clearly studied the deep-voiced, stern-but-fair Japanese archetype his character belongs to. Bridgit Mendler, meanwhile, is an absolute revelation as Arrietty; she’s free-spirited, strong-willed, and enthusiastic, but in a grounded, endearing way. As Sean, David Henrie does something few voice actors would be willing to do: he puts energy on the shelf in favor of soft, gentle melancholy. It works wonderfully; he and Mendler have a beautiful chemistry, one that feels raw and intimate to a degree no other English dub has ever achieved. I have only scratched the surface of what “The Secret World of Arrietty” has to offer; the rest is for you to discover, and discover it you absolutely should, especially if you a parent looking to entertain your children. “Arrietty” will foster their hearts and minds, not just their senses, and this is what sets Ghibli apart from the majority of American animation. There won’t be a better family film playing in theatres for a long time; take advantage of this opportunity while you can. You are so right, this was a wonderful, beautiful movie. It felt like being inside a moving painting. I also loved the music and just as much, the use of silence and the quiet breath sounds as the borrowers moved around.